Maire has featured in some Irish magazines lately and we thought we’d bring you some of the highlights. This new sculptured wool crepe dress with an asymmetrical shoulder is a hot favourite among the contemporary Mother of the Bride and guest at wedding. It is nominated buy of the month as seen in the October edition of the Social and Personal magazine. 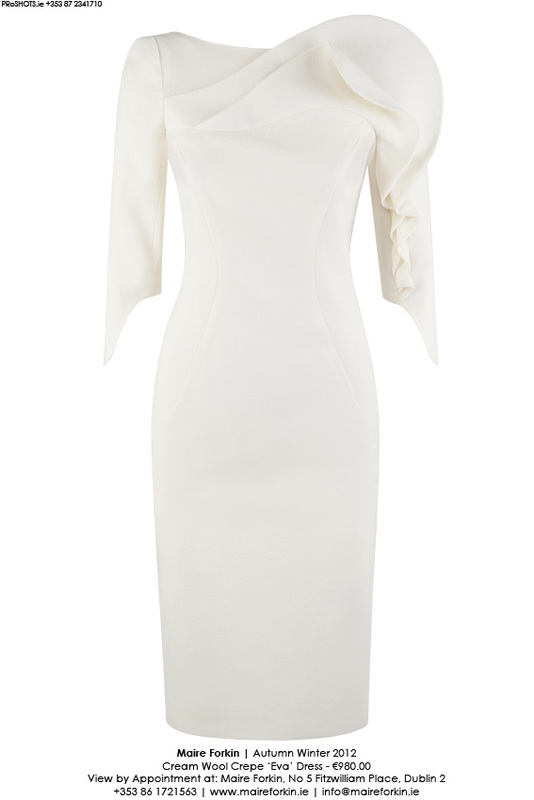 Stylist, Roxanne Parker has chosen this dress as buy of the month in her must have buy section of luxury products. It is available in 15 different colours and many are very pleased to hear,in a range of three different shades of Red for the Christmas. All pieces are made to order with bespoke refinement.